The road ahead of us was flat and straight for miles on end. On both sides of our little red car and all the way to the horizon spread out fields of gold. Dense sheaves of ripe ears of wheat were being picked by large combine-harvesters. 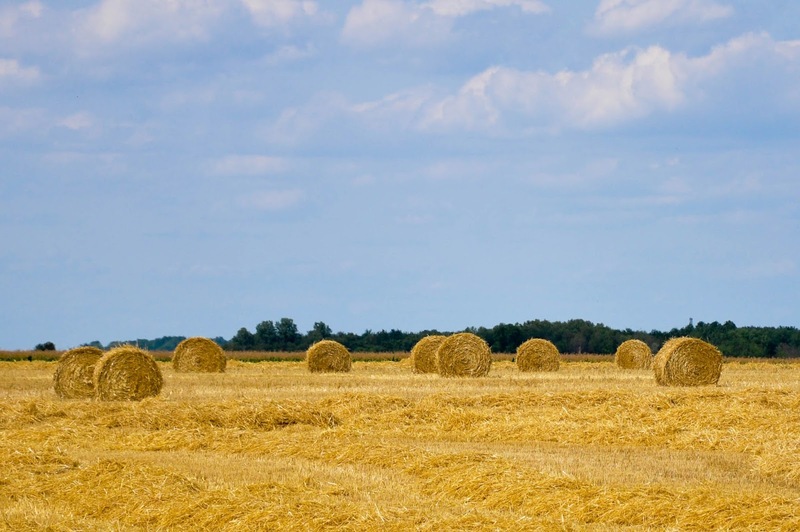 The grain would then disappear in the rumbling belly of the methodical machines and the straw would be ejected and left behind neatly rolled up. It was the second day since we had crossed into France and the fifth since we had left our Italian hometown of Vicenza to return to England for the summer holidays. 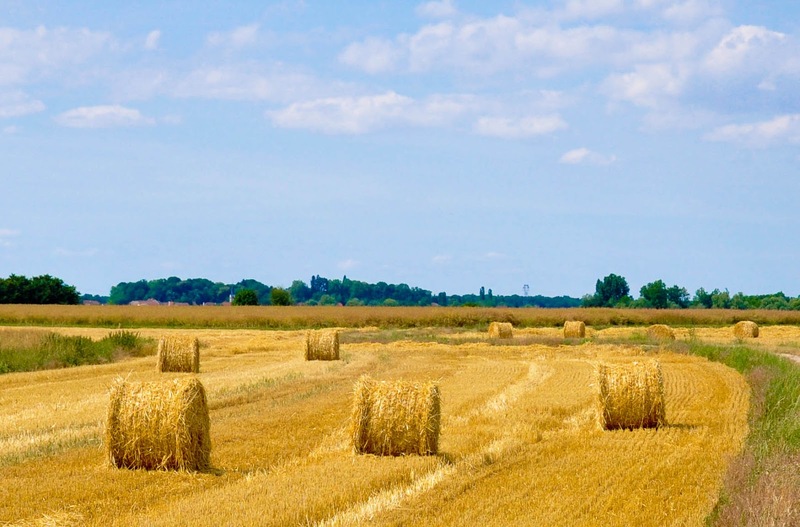 At the back seat of the car I was marvelling at the fields of gold France was revealing in front of our eyes. The news we had glimpsed quickly that very morning were not good. There were cab riots in Paris, a gruesome murder in Southern France and the situation at Calais was getting out of hand. Yet, we were travelling through Burgundy’s beautiful land, finding ourselves in the midst of a modern harvest time. Following a centuries-old cycle the wheat was being collected to be turned into flour and then bread. The scene was tranquil, almost idyllic. It reassured me that life always finds a way to keep going on no matter what was happening in France or anywhere else. I quietened my thoughts and just let our little red car take us forward. 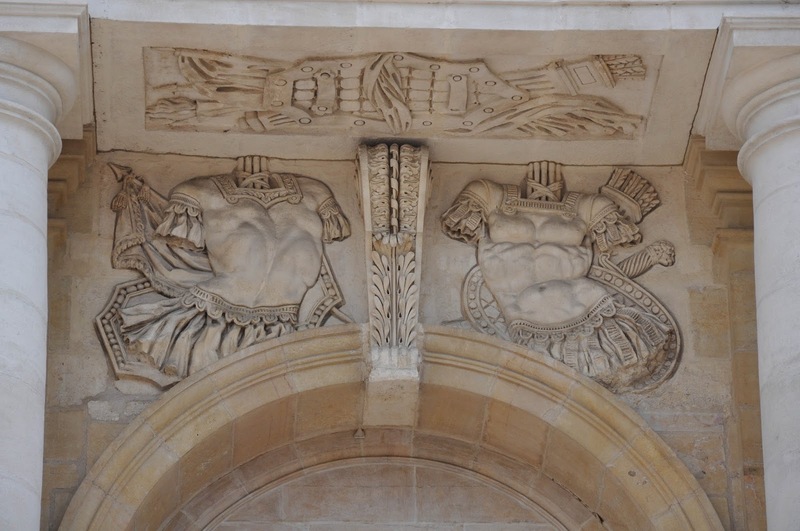 Later that day we arrived in Burgundy’s capital. 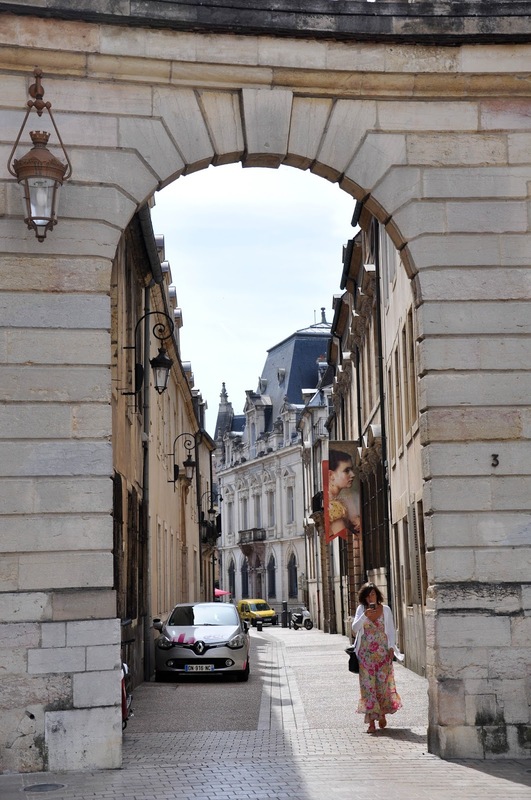 Here is my postcard to you from the charming Dijon. 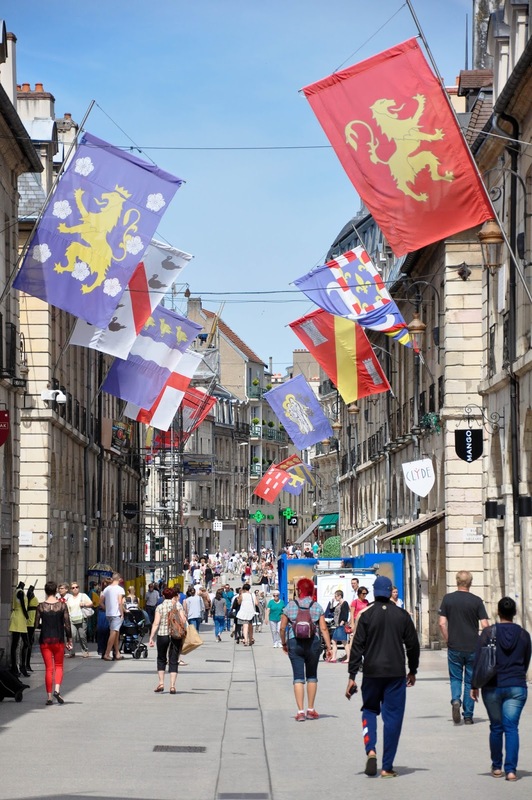 Lying in the heart of a plain and surrounded by vast wheat fields, Dijon welcomed us warmly in the bright summer sunlight. The city felt full of life. The streets were teeming with people, a small market was taking place and medieval houses were serving as backdrops to modern life. 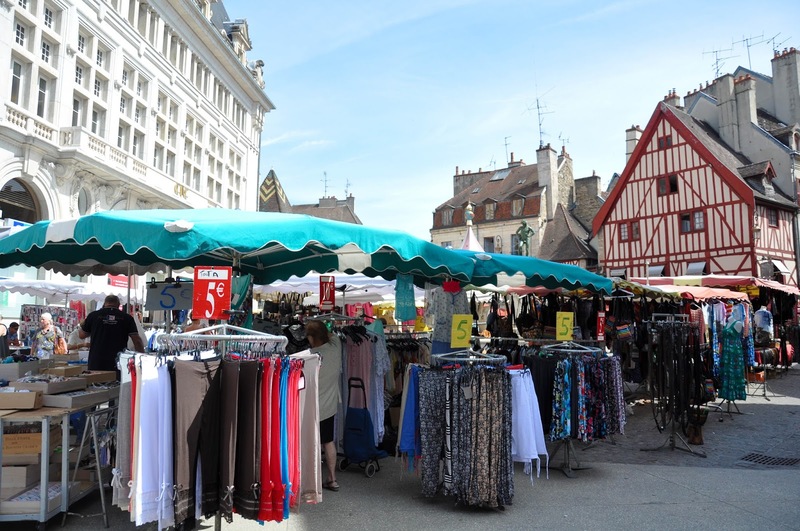 I was particularly excited by the dainty shops selling beautifully arranged local specialities – from spiced bread to pots and pots of Dijon mustard. Unfortunately, we were disappointed to find out that the famous Dijon mustard is not necessarily made in Dijon, as the term is genericised and cannot earn a protected designation of origin status. My husband, a true aficionado of mustards, still got himself a pot though. Then we continued to explore. 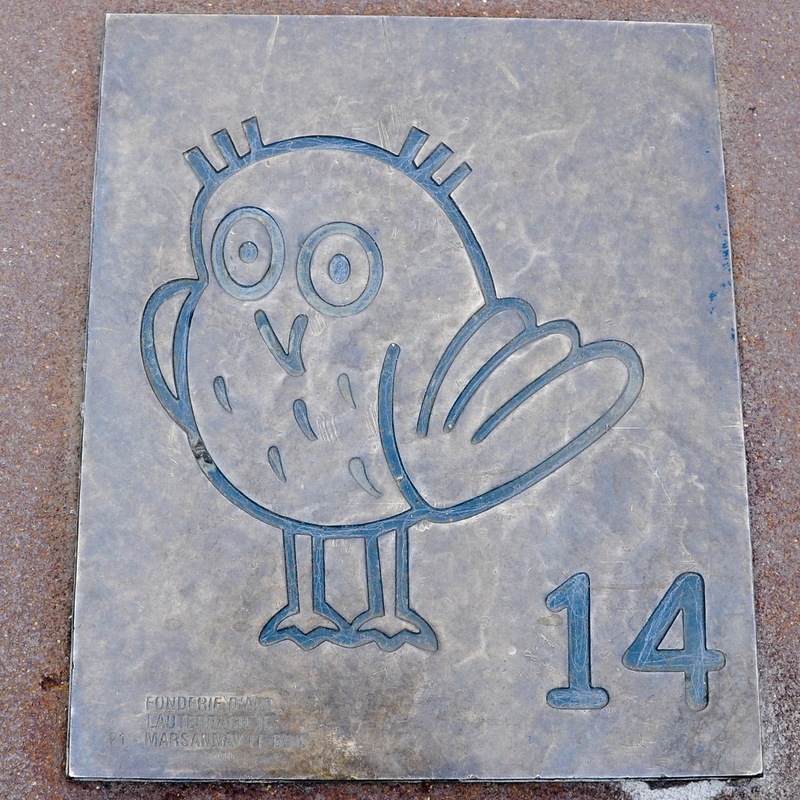 Little plaques depicting an owl (considered a good charm in Dijon) were inserted in the pavements forming a trail. Following it by foot took us round all the important places of interest. 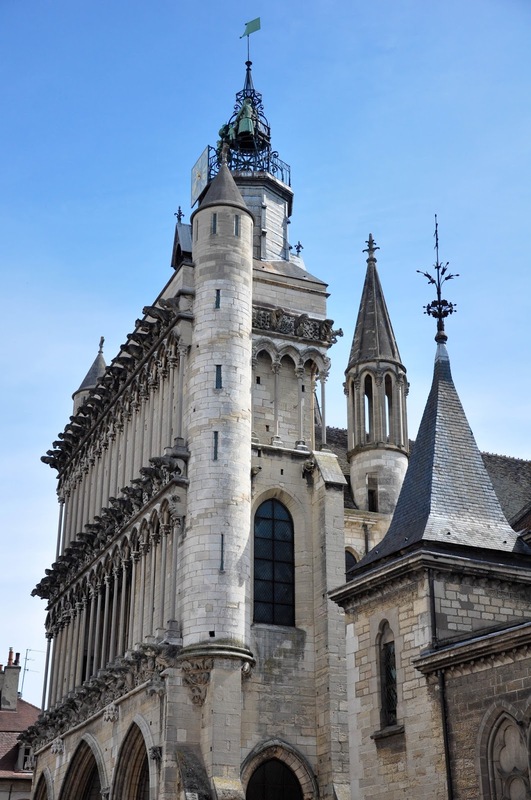 We started with the Church of Notre-Dame of Dijon which grabbed my imagination with its dark Gothic façade. Row upon row of strange creatures peeked from it. 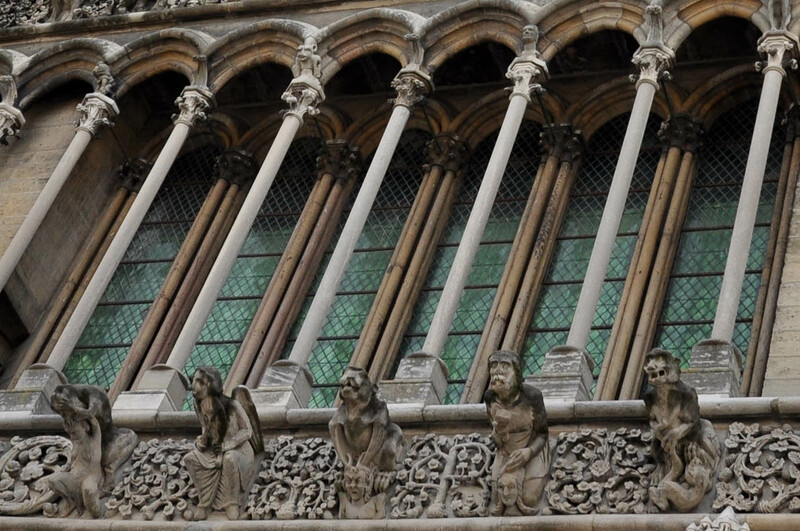 They reminded me of the famous gargoyles of the Church of Notre-Dame de Paris, but in Dijon all these whimsical figures had gotten together right on the front of the church as a creepy army designed to strike fear in any non-believer’s heart. We continued our slow walk around Dijon. The weather was lovely and sunny and having spent so much time in the car, we simply wanted to spend as much time as possible outside. 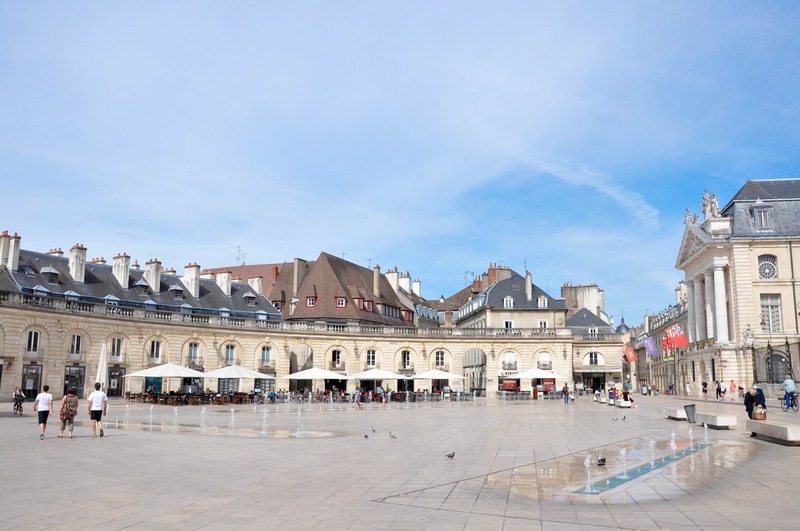 Just then we came across the main square of Dijon. 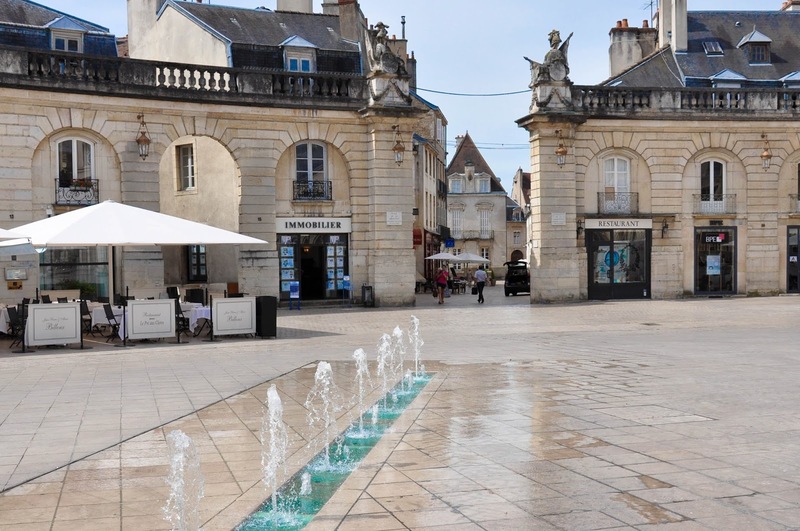 With its playful fountains at ground level it was just the place for us to sit down and relax, taking in all the marvellous buildings and arches which surround it. 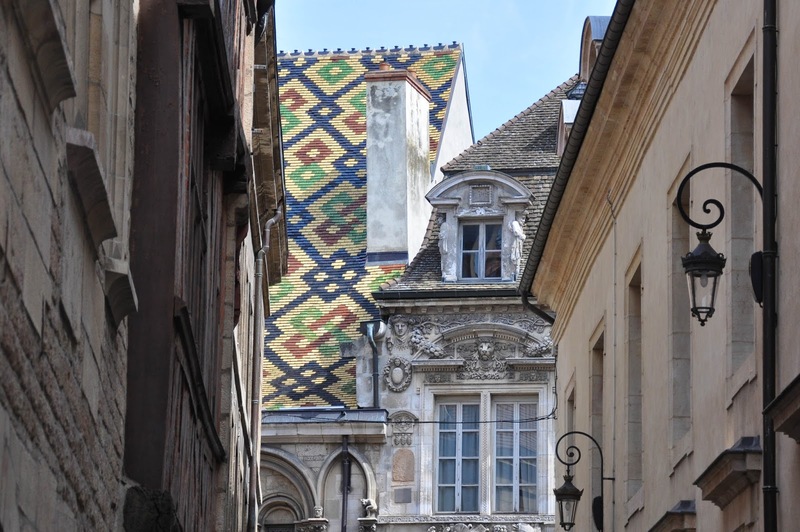 On our way back to our car, we spotted one of the famous Dijon polychrome roofs. Made of glazed tiles in different colours, their geometric patterns are a lovely sight to glimpse as you walk around town. So, here you have it! 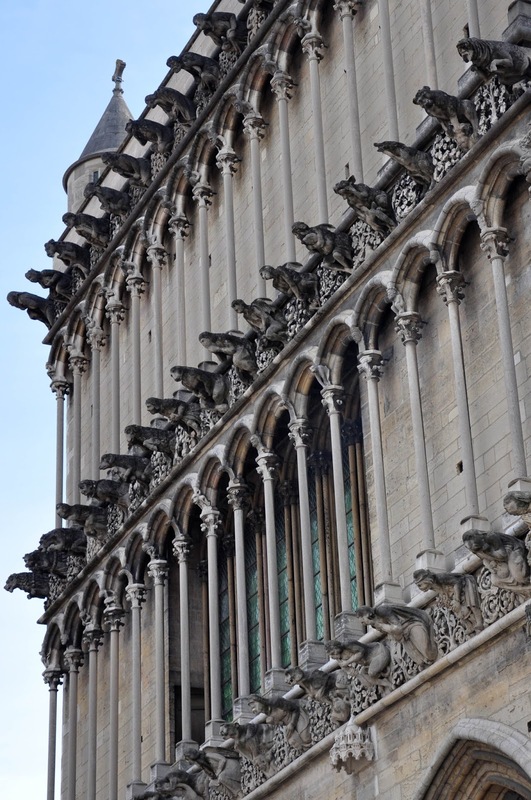 Our short and sweet visit to Dijon provided us just with the inspiration to want to return there some day. At that moment though we had to pile back in our little red car and continue our journey forward all the way across France. 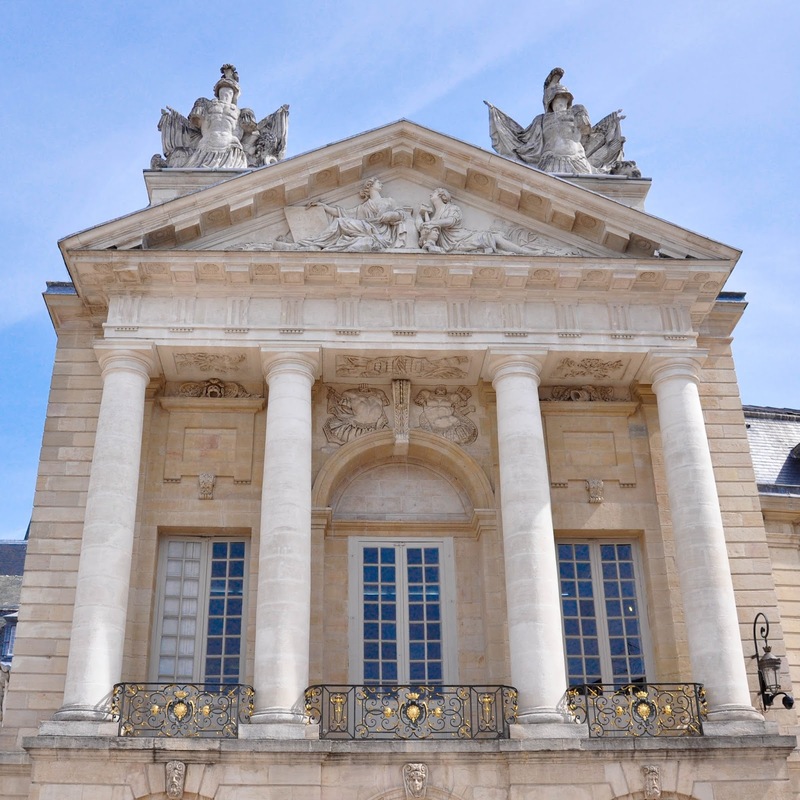 Our next stop was Rheims and I will tell you about this lovely city and its famous cathedral in a new post in the next few days, so, please, keep checking the blog. Ta!